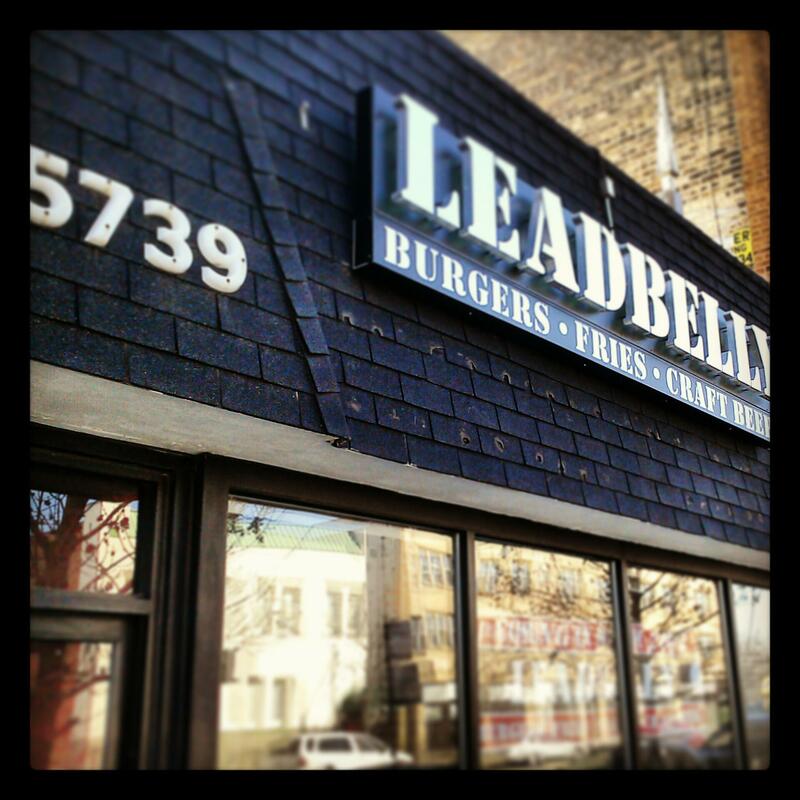 Leadbelly Burgers opened Saturday at 5739 West Irving Park Road in Portage Park. The rock n’ roll-themed gourmet burger eatery makes their own sauces and grinds their own blend of meat for their burgers. Each burger order comes with a “Leadbelly” butter cookie. Leadbelly has six fries options: House Fry, Garlic Parm Fry, Bleu Cheese Fry, Polish Fry, Pico Fry and Belly Fry. For beverages, they offer milkshakes, alcoholic milkshakes, craft beers, craft sodas and wine. How does Leadbelly Burgers compare to the many gourmet burger restaurants in Chicago? Leave your thoughts in the comments section below!